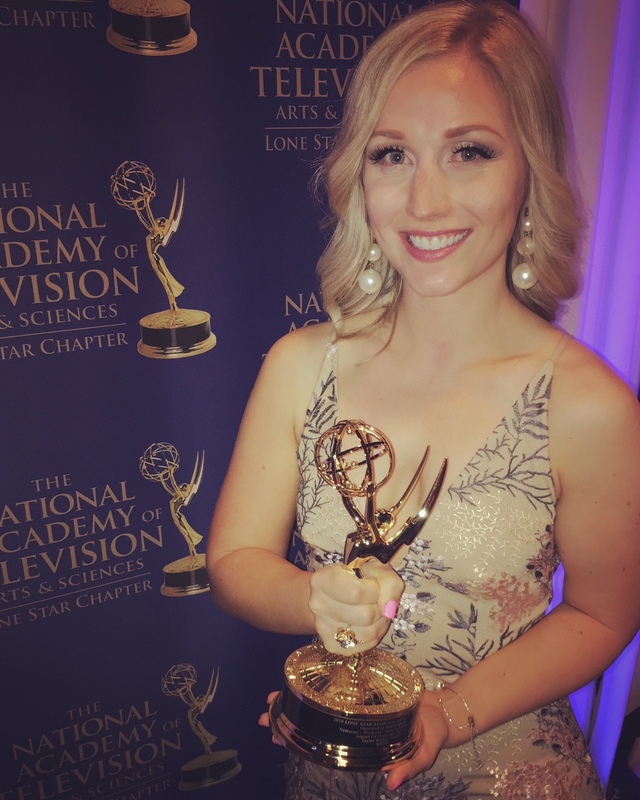 Congratulations to client Taylor Winkel on winning a Lone Star Emmy Award for Best Weekend Newscast. The Lone Star Emmy Chapter recognized the newscast Taylor anchored that focused on the impact of Hurricane Harvey in August 2017. Prior to joining KRGV (ABC) in Weslaco, TX (Market #84) in April 2017, Taylor was a Weekend News Anchor/Reporter at KECI (NBC) in Missoula, MT (Market #164).